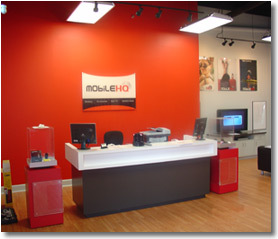 If you are looking for information on the Mobile HQ franchise business opportunity, Mobile HQ franchises or Mobile HQ franchising, then you have come to the right place. Bluetooth® Accessories and many more. We are also constantly updating our product offering to provide our retail customers with the latest technologies that promote the ability to "be mobile." This also allows our franchisees to have multiple profit centers within each location as our model maximizes overall revenue generation. MHQ Franchisee: As a franchisee, you have the ability to own and operate one to multiple Mobile HQ retail locations while enjoying our ongoing support and training. This model also enables you to be your own boss while enjoying the benefits of being a part of a larger organization. Area Developer: As an Area Developer, you will spearhead the development of a geographical region by identifying qualified franchisees and assisting them in developing a profitable business within your specified territory. This particular business model allows for multiple cash flow opportunities including upfront and ongoing residual commissions derived from the timely sale and development of franchised units within your territory. No Royalties - Normally, as a franchisee you would be expected to pay a percentage of your monthly gross profit to the franchisor. You will not have to do that at Mobile HQ. Through our unique system, we are paid on volume overrides on wireless activations that never come out of your pocket. Specific wireless carrier, service provider and product training for everything that is offered at each store. We accomplish this by having a comprehensive national training, weekly conference calls, interactive in-store training and a dedicated full time training department that is on call to coach our franchisees on an ongoing basis. Multiple Profit Centers - As the "Mobile Headquarters" we are always on the lookout for products and services that promote our model. As such, by offering more products than "just wireless carriers", our franchisees enjoy the ability to cross promote and generate additional revenue from multiple sources and not rely solely on wireless carrier commissions from activations. Turnkey Process - We coach our franchisees through every step and we offer a step by step turnkey process that simplifies the entire build-out enabling our franchisees to focus on learning the overall business and preparing to become a Mobile HQ franchise business owner. As a franchisee, you will enjoy the benefits of walking through a step by step process that has been designed to simplify the overall process of becoming a Mobile HQ franchise business owner. Semi-Exclusive Model (Two Wireless Carriers) - We differentiate ourselves in the marketplace by focusing on the two best-suited wireless carriers within each market enabling our franchisees to benefit from greater volume, lower inventory costs and increased product and service knowledge. We have found this model to be significantly more profitable and rewarding than the very outdated "one-stop-wireless-shop providing all carriers" concept. 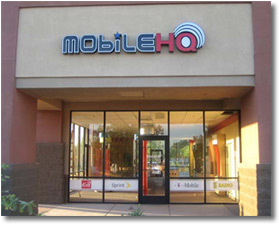 At Mobile HQ, we are confident that our model is properly aligned with the direction of the overall wireless industry. With so many benefits, we are seeking qualified franchisees and area developers to come grow with us nationally.